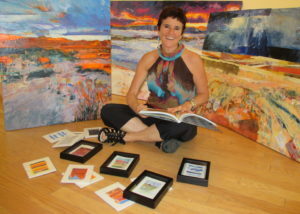 Susan J Gottlieb introduces herself to us as a world traveler, painter and teacher. Her artwork focuses on cross-cultural symbolism. Her search for these “first times” has lead her across the world. Susan’s work is known for a vibrant use of color and texture. She enjoys working in acrylic, printmaking, and collage. Her artwork evolves in layers, adding collage bits and pieces from previous paintings and travels. Similar to an archaeological dig, there are tales in the layers. At the intersection of archetype and ethnic, her paintings show up through the creative process. Susan has exhibited across the USA and is locally represented by Red Raven Art Company in Lancaster, PA. She has lived and studied in Rome, Italy and continues to travel extensively. Susan’s work is included in the book “Speaking for Themselves” The Artists of South Eastern Pennsylvania, by Daphne Landis. She is on faculty of the newly opened Stone Independent School in Lancaster where she instructs studio arts and art history. 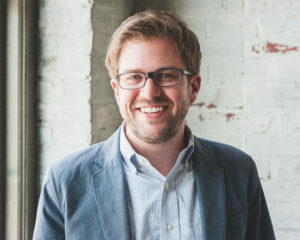 Dylan Bauer serves as Partner and Development Director with Royal Square Development Group in downtown York. He graduated from Temple University with a Bachelor of Business Administration and has served on the Board of Directors on Downtown, Inc., the Strand-Capitol Performing Arts Center, York Young Professionals, and the YMCA of York County. He’s a former real estate brokerage adviser and food truck owner. Currently, he is working on the Market Street Revitalization Project, providing several clients with Development, Presconstruction, and Construction services. Travis Fischer serves as Virtual Design and Construction Manager at Kinsley Construction in York, Pennsylvania. He graduated from Thaddeus Stevens College of Technology with a degree in Architecture Technology, and has been an active member of the Central PA Revit Users Group, helping to teach architects around Lancaster County about the benefits and uses of Revit in design. 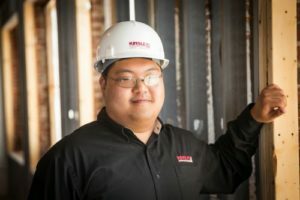 He assists the design community and companies that work with Kinsley Construction through the BIM process to achieve a successful cohesive project. Craig G. Malesic served as electrical project manager for the Keefer Family episode of Extreme Makeover: Home Edition, logging over 100 hours of personal time during a ten-day period. In the process, he interfaced with 22 trades, managed 40 on-site electricians, and solicited $35,000 worth of donated material! He holds the Project Management Professional (PMP) certification from the Project Management Institute (PMI), and has toured Pennsylvania giving this presentation to various branches of PMI.This program is LU, but not HSW.